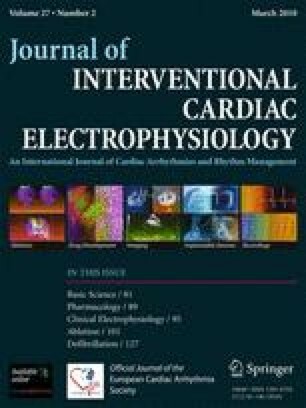 We investigated the relationship among esophageal warming, pain perception, and the site of radiofrequency (RF) delivery in the left atrium (LA) during the course of catheter ablation of atrial fibrillation. Such a procedure in awake patients is often linked to the development of visceral pain and esophageal warming. As a consequence, potentially dangerous complications have been described. Twenty patients undergoing RF ablation in the LA were studied. An esophageal probe (EP) capable of measuring endoesophageal temperature (ET) was positioned before starting the procedure. The relative position of the EP and the tip of the ablator were evaluated through fluoroscopy imaging before starting each RF delivery, during which the highest value of the temperature was collected. After RF withdrawal, the patients were asked to define the intensity of the experienced pain by using a score index ranging from 0 (no pain) to 4 (pain requiring immediate RF interruption). The mean ET value during ablation was 39.59 ± 4.71°C. The EP proximity to the ablator’s tip showed a high correlation with the development of the highest ET values (Spearman’s rank correlation coefficient r = 0.49, confidence interval (CI) 0.55–0.41). Moreover, the highest values of pain intensity were reported when the RF was delivered to the atrial zones close to the EP projection (r = 0.50, CI 0.55–0.42) and when the highest ET levels were reached (r = 0.38, CI 0.30–0.45). Pain perception in LA ablation is significantly related to esophageal warming and is higher when the RF is delivered near the esophagus. It seems advisable to perform ET monitoring in sedated patients to avoid short- and long-term jeopardizing of the esophageal wall. We are indebted to the personal contribution of professor Robert T. Jantzen Ph.D., Department of Mathematical Sciences, Villanova University, PA, USA, for his precious help in revising the manuscript. We are similarly indebted to the expertise of our EP rooms’ nursing staff (Carlo Iacoangeli, Luigi Muredda, Tiziana Zuccari, Luca Montacci, Mirella Volpe, Roberta Traditi, and Luigia Bartoccini) that made this study possible.